Suppose for a moment that you are a very staunch Liberal, living in the 1960s at the height of the Vietnam War. 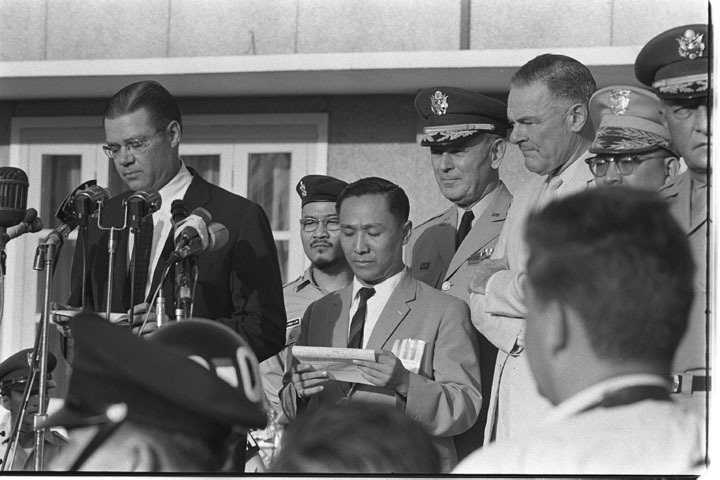 One day you encounter the Secretary of Defense, Robert McNamara. What would your first reaction be? While most of us would like to think we would be disgusted at the mere sight of him, in all likelihood, you would greet the official, shake his hand, and enter a dialogue about why he is not ending the war sooner. Regardless of how abhorred you are by his political actions, it likely that you would not be repulsed by him as a person. 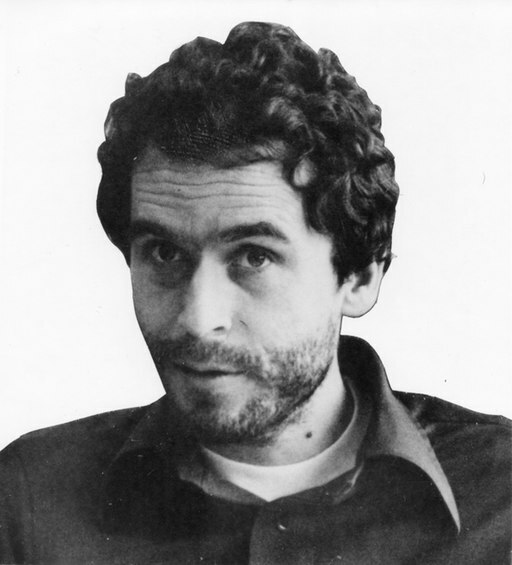 Now imagine instead that you instead find yourself face-to-face with Ted Bundy, the infamous American serial killer responsible for over thirty murders. Whatever your first reaction may be (other than running in the other direction), I would wager that you would not shake his hand or engage in a conversation with him. This seems to demonstrate that we, as a society, tend to have perplexing double standards for moral condemnation. We criticize Ted Bundy for killing people in the dozens, yet we do not seem to hold the same repugnance for former Secretary of Defense Robert McNamara. This is true in spite of the fact that McNamara played a major role in escalating the Vietnam War, a conflict that ended the lives of thousands of individuals – a number far greater than Bundy’s thirty. Why do we make this distinction? At first glance, part of the explanation could simply be our natural attraction to fame. Our society has a tendency to idolize political figures and celebrities in such a way that insulates them from criticisms and causes us to look past their faults. While this may explain some of the phenomena, it seems unconvincing that it is the sole reason for our society-wide inconsistencies. After all, Bundy himself acquired a type of celebrity status for his charm and good looks, yet we still hold a special disgust for his actions, regardless of their numerical insignificance when compared to the consequences of actions of public officials. Thomas Nagel’s essay ‘Ruthlessness in Public Life’ speaks to this phenomenon. According to Nagel, our tendency to isolate certain actors from moral condemnation is the result of the individuals in question occupying a public office. As Nagel argues, individuals who act as functionaries of the state are insulated from their own actions even when there is no doubt about the merits of their actions, and they seem to possess a “slippery moral surface, produced by their roles or offices.”  Further, Nagel proposes a reason as to why exactly holding public office results in the moral acquittal from any wrongdoing. For him, what justifies our leniency regarding the morality of public officials is the specific goal of the position. That is, the president (or secretary of defense, or foreign minister) of a nation is required to refrain from certain acts while committing him- or herself to others. For instance, holders of public office are not allowed to act favourably towards one individual (such as their partner) and unfavourably towards another. To clarify, the current president of the United States, for example, as an individual is certainly allowed to have a different relationship with his wife than with other citizens, yet it is not permissible that he use his position as head of state to, for example, help her avoid paying taxes. In this way, the official is restricted from putting any specific individual’s interest first and is instead required to treat everyone equally. This much is true when considering treatment that occurs in the domestic political system, as anything else would be considered extremely unjust. When we consider how the official acts internationally, however, we have an expectation that they put the nation’s interests first, regardless of the necessary actions. In other words, holding public office necessarily requires that individuals adopt a code of ethics that is ultimately consequentialist, rather than deontological. The officials are expected to act in order to maximize the amount ‘good’ that results from an action (consequentialism), rather than making decisions with certain pre-imposed moral constraints (deontology) – such as a ban on killing or torturing. In this case, consequentialist ethics would dictate that ‘good’ is whatever is in the best interest of the nation. As such, politicians escape the moral condemnation that we impose on our fellow citizens, who we generally hold accountable according to deontological ethics. In short, when regarding the actions of public officials, our frame of reference shifts to one that prioritizes the good of the nation over individual actions. In return, however, we expect certain moral uprightness from our politicians in their private lives that we do not expect from ordinary citizens. We would not, for example, chastise our neighbours for having an extra-marital affair – the same is not true for our politicians. I agree with Nagel’s causal claim that we expect less, morally, from our political representatives due to our shifted frame of reference and the expectations that arise from their positions of power. However, if one were to approach the issue from a normative standpoint, I would argue that the warped standards we have for our politicians is troubling at best. Ought our politicians, solely because of their position in office, possess a kind of carte blanche to do whatever it takes to best promote the interests of the nation? This seems morally unacceptable. It would be akin to a soldier who voluntarily worked in a concentration camp in Nazi Germany attempting to morally acquit himself from any wrongdoing on account of the fact that the position he held necessitated the action. However, as he chose to take this position and its associated requirements this stance should be untenable to any rational person. In sum, we should not allow ourselves, as a society, to be swept up into the theory that politicians, by virtue of their positions, ought not be held accountable for their morally contentious actions. A commitment to serving the greater good of a nation does not preclude the necessity of staying true to a more individualistic code of ethics.